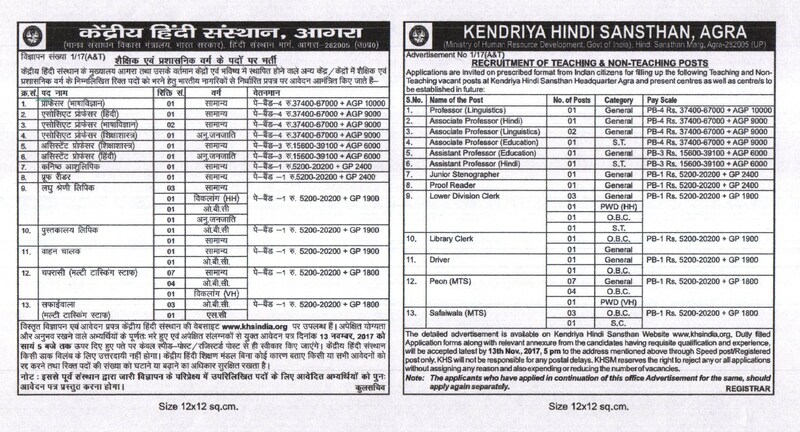 Kendriya Hindi Sansthan Issued a Advertisement For Recruiting 35 Clerk, Professor, Stenographer, Peon.All Eligible and Willing candidates Can Check Detailed Advertisement From Their Official Website And Apply Offline / Before 13th November 2017.Eligible And Interested Candidates Can Check Detailed Information For Each Postion Such As - Eligibility Criteria, Qualifications, Age Limit, Selection Procedure Before Applying. 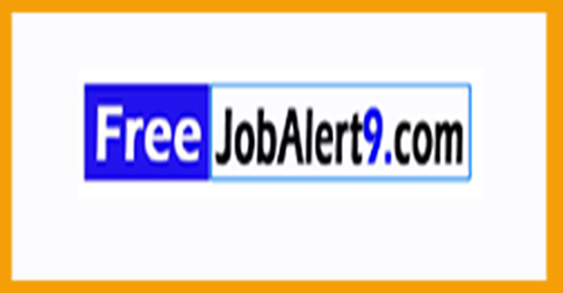 Kendriya Hindi Sansthan Recruitment 2017. Age Limit - Candidates Maximum Age should not exceed 18 to 27 Years (Post 4,6-8), 18 to 25 Years (Post 9),30 Years (Post 5). Educational Qualification - Candidates Must Pass 10th / 12th / Graduation Degree / Post Graduation Degree or its equivalent qualification from a recognized Board / University. How To Apply - Candidates Can Download application Form through official website http://www.khsindia.org. After Filling The application form, candidate must send hard copy of application along with relevant testimonials Mentioned In Detailed Advertisement to the following Address before / 13th November 2017. Click Kendriya Hindi Sansthan Recruitment 2017 Detailed Advertisement.